Log into your FoxyCart admin control panel. 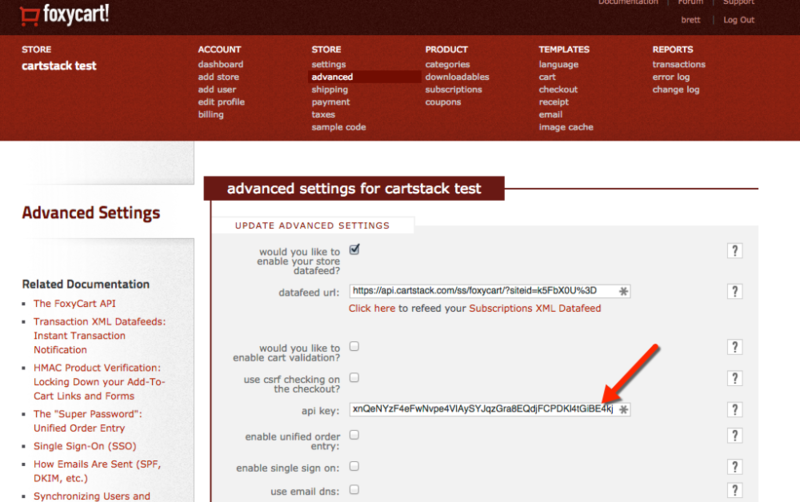 Paste our code snippet from the Code page of your CartStack account into the custom header section. The setCartItem function allows you to pass the product data (eg: product name, image, price, etc) to our system. 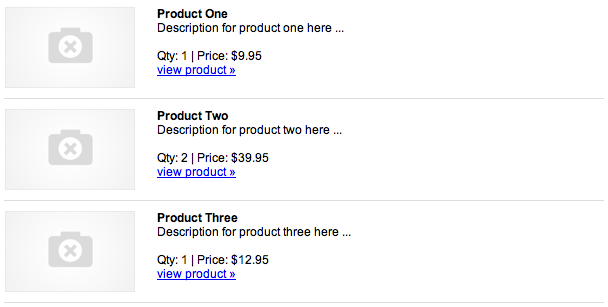 You will need to call this function for each product in your customer's cart. After this has been integrated, it can be used to display the customer's actual cart items in the abandoned cart emails they receive. Make sure to replace XXXXXX with your site ID. You can find your unique Site ID on the Code page. After you have integrated the cart items feature, you can simply include the below variable within your email template. Along with the client side confirmation code that's included in the basic integration above, we also offer a server side confirmation integration which is a bit more reliable. This is not a required step to get up and running with CartStack, but it will ensure a 100% purchase tracking rate because you will be relying on the server instead of the customer's browser. This can be implemented at any time. It does not need to be completed for initial setup. Enable your datafeed API. You will find this field by going to "advanced" under the Store options, then checking the "would you like to enable your store datafeed?" box. Make sure to add your Site ID to the end of the URL. You can find your unique Site ID in the CartStack admin, under the Code tab.